Believing in One God, Father, Son and Holy Spirit we are an open enquiring community of Christ's people. We worship in a relaxed style mainly in the Reformed Protestant manner and are open to new approaches. 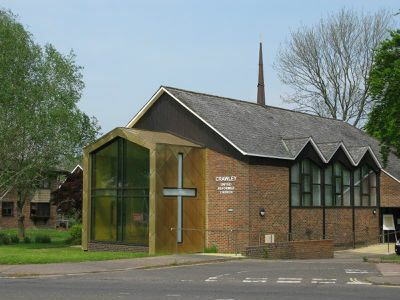 So what will you find when you come to Crawley URC? A warm and friendly welcome. You will be given an easy to follow Order of Service which tells you what happens and when and leads you through the Service. Children are most welcome and you can share time with us in the hall after the Service if you wish. Our Morning Service is at 10.00 am every Sunday with Communion on the first Sunday in the month and traditional Services at Christmas, Easter and on other special days.